This is a continuation of our Overcoming Hardship Series. We have debunked the notion that one needs to do whatever it takes to survive when things are tough as far as believers are concerned. In addition, we have zeroed in on Ponzi schemes, explaining that they are investment frauds that Christians should not be involved in. We have also x-rayed the dangers of participating in these schemes. You can click on the earlier titles below to get yourself up to speed if you missed them. This post looks at how a Christian can attract God’s favour to survive economic hardship. Economic difficulties are not recent developments. From the olden days, people have fallen on hard times as a result of crop failure due to pests and droughts; military conflicts that often involved sieges, thus preventing normal economic activities; excessive taxation from cruel governments; ill health that drained resources as the sick were cared for; bad investments, etc. We see many such examples in the Bible beginning from the book of Genesis. There were famines during the times of Abraham, Isaac and Jacob. In fact, it was a famine that led to the relocation of Jacob’s whole family to Egypt when they learnt that Joseph, whom they had assumed dead, was the prime minister there (Genesis 12:10, 26:1, 47:1-6). So here are some things we need to do and keep doing to survive economic hardship. 1. 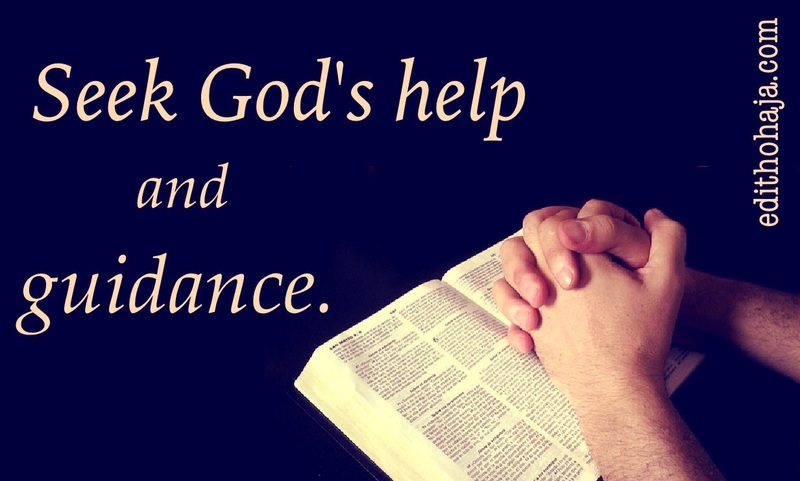 Trust in the Lord and seek His help. Do not rush to relocate: Our first action should not be to run away. The way the world’s economy is now, things are biting almost everywhere. Many countries that opened their borders freely to foreigners are tightening up. We even hear of xenophobic attacks from time to time. Consider that you may not be better off where you are running to. And do not risk your life travelling to where God has not asked you to. My heart breaks when I hear the reports of sub-Saharan Africans perishing in the desert or in the Mediterranean Sea because they are desperate to get to Europe. Many who “make it” live in subhuman conditions in illegal squatter camps on the fringes of cities and sometimes resort to crime to survive. God can sustain you where you are until circumstances improve. Now, look at that! Isaac did move but it wasn’t to their customary refuge, Egypt. It was to the land of the Philistines and God told him to sit out the famine there. If you read further, you’ll see that Isaac didn’t feel the distress of that time. I doubt he would have had it so good if he had rushed to Egypt. Don’t do things because others are doing them. What works for one might not work for another. Always consult God and put your confidence in Him. He will not disappoint you. 2. Get a means of livelihood no matter how humble: The Bible promises that God will bless the work of our hands (Deuteronomy 28:12). But we need to be doing something for this promise to be fulfilled. You may not find work equivalent to your qualification. You may have to do blue, instead of white collar work. You may learn or practise a craft when you already have a degree. Don’t be discouraged. There’s no shame in doing work that ensures your sustenance. Some brethren start small catering or baking services out of home. These ventures often become so lucrative that they stop seraching for jobs. And whatever work you accept, do it as unto the Lord. Do not shirk your responsibilities because the pay is small. Your diligent handling of your duties will be rewarded by the Lord in His time and way. A sister in the Lord accepted a junior clerical position after searching unsuccessfully for a suitable job. It was about four pay grades below what she deserved but she worked conscientiously and a few years later, she was converted as they say in bureaucratic circles. Today, she is the Head of Administration in the same office. Do not resort to begging either except you absolutely have to, perhaps because you have multiple disabilities. Many people with one or two disabilities learn crafts and provide for themselves. 5. Match your expenditure to your earnings: Living a life above our means can hinder the blessings of God because it can push us to do ungodly things to maintain it. You don’t have to prove anything to anyone. Some people are perpetually in debt because they are “enjoying” stuff that are above their pay grade. In the institution where I work, I notice that some people arrange to buy cars shortly after they get employed. I have often declined to guarantee bank loans for such people. I’ve also seen cases where people bought expensive electronic equipment, generators and furniture to match their neighbours’. Such competition is ungodly. In some places, traders bring their wares to offices and people pack costly clothes and accessories they shouldn’t even look twice at. A junior worker acquires a wardrobe that can only be afforded by those earning five times her salary, thus keeping herself forever in the red. These practices reveal a lack of contentment. They are signs of greed, which the Bible condemns as a form of idolatry in Colossians 3:5. Besides, overspending and miring oneself in debt does not show good stewardship of the little we have from God and disqualifies us from receiving more. The Parable of the Talents in Matthew, chapter 25 and The Parable of the Ten Minas in Luke, chapter 19 clearly demonstrate this. 6. Pay your bills as soon as you can: This is related to the preceding number. Even when you don’t have much, make sincere efforts to pay your bills and trust God to see you through. Don’t live in someone’s house and refuse to pay rent or choose to pay it after much trouble. Why it ties to the previous point is that you shouldn’t move into accommodation you can’t afford and then defer paying rent until you meet all your other needs. Do not abuse people’s good will. Some people live in rented accommodation they hardly pay for while using their resources to build their own houses. That is not progress, it is wickedness! The Bible says we should do unto others as we would have them do unto us (Matthew 7:12). 7. Do not borrow money you have no intention of paying back: When things are hard, it often becomes necessary that one should seek help from friends and relatives. If we want God’s blessing on our lives, we should do this sincerely. First, we shouldn’t exaggerate our problems to get help. Second, we should make honest efforts to return what we have borrowed. We could ask for deferment of deadline, we could pay instalmentally, but we shouldn’t take people’s money and run. Sometimes, in the process of requesting an extension of deadline, the creditor may kindly cancel the debt. Those who think they are smart and blatantly default on personal loans close doors to future assistance in their own faces. God hates such duplicity and cannot favour the offender. And now the last but not the least number. 8. 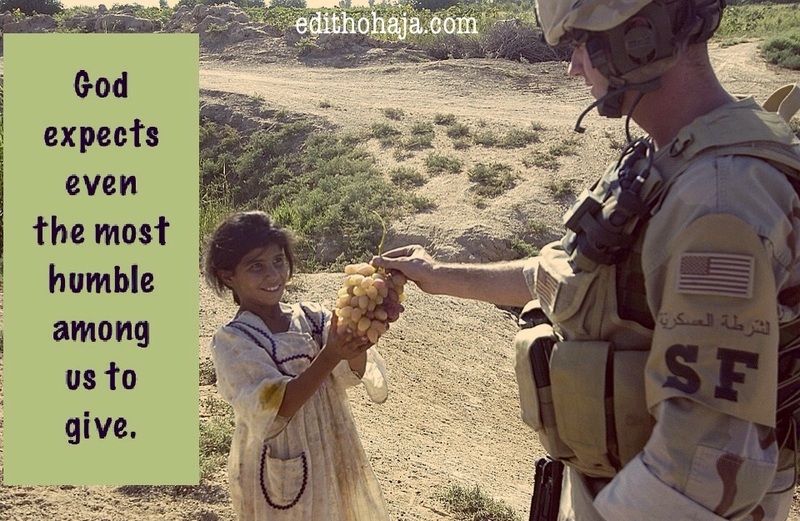 Give: It is not only the wealthy that should give. God expects even the most humble among us to be openhanded with what He has blessed us with. When God sought for a way to sustain Elijah the prophet during the famine he declared, He sent him to the widow of Zarephath who had almost nothing. By opening her doors to share her last meal with the prophet, she received a miracle that saved her family throughout the three and half-year famine (1 Kings 17:8-16). And we can give other resources that are not material like our time, strength and abilities. My Lord and my God, Your name is Jehovah Jireh, my provider. I put my confidence in You and pray for Your sustenance in the prevailing difficult times. The earth is Yours and everything in it. May Your favour daily meet me at the point of my need. Purify my heart from greed, envy and every form of dishonesty. May I not dishonour You to make ends meet. You are a faithful God and You will never forsake me. Thank You, Lord, for hearing me. In Jesus’ name. Amen. The next post in this series will examine how we can prosper (flourish) in hard times. Delighted to hear from you, Helen! It really was a concern whether I should break up the post but I chose to have it as one. It may seem daunting to read through but I hope that once one gets into it and with the highlights, it won't be tedious. I pray fabulous blessings on your family and ministry in Jesus' name. THANK YOU MA, FOR THESE WONDERFUL 8 KEYS FOR ATTRACTING GOD'S FAVOUR. I HAVE ALREADY ADOPTED THEM AND THEY ARE WORKING. BLESS YOU! Glad to hear from you, Iheanyi! Success and progress are your portion in the Lord in Jesus' name. Pray constantly, ask God to send you His Holy Spirit to guide and keep you from sin. try hard to lead a righteous life. Surely, God's favour will forever be upon you. Good advice! Thank you, Walter. You are highly blessed in Jesus' name. Amen. You are favoured, Nkem! Amen in Jesus' name. God bless you too, my dear! Wow. Im so touched. Thank you for sharing this with us. Would ensure to tell others about these 8 ways. God Bless you, Ma. Thank you for the promise to share the message, Perpetua! I appreciate. You are sooo blessed! I am happy with this. People think that hardship is an excuse to do all sorts of wrong to make ends meet but I'm glad we have been shown some alternatives. I love the 2nd and 5th points because they are points people really need to understand. Praise God and thank you, Ifeanyi! Truly, giving is one good way to attract God's favour. It is not only meant for the rich, the poor can also give in various ways. Educative piece. Thank you ma for this inspiring writer up. I pray for Gods grace to be able to abide by them. thank you ma for this wonderful and powerful advice. if only we have more of your kind around,our youths will have a better life. thanks so much ma. Wow, such a nice thing to say! I'm touched, my dear. All glory to God. You are richly blessed in Jesus' name. And bless you too, Kelechi! Glory to God! Happy to hear from you, Florence! You are favoured, my dear, in Jesus' name. Wow! I love this post. Idleness, covetousness, envy, pride and other ungodly behaviors and attitudes should not be part of a Christian's life style. The bottom line is to seek first the kingdom of God and His righteousness and every other thing shall be added. When we seek God first in all and do His will, He will provide our needs because He knows we require these things. True, Mariam! You are highly blessed in Jesus' name. Quite insightful and encouraging. Am glad you shared this ma. This piece is an eye opener...I am blessed. More of this ma. Another beautiful piece as usual. One thing i've learnt is that despite all the hardships and economic recession, we still have a lot of things to be grateful for; the very air alone we breathe is one of them. It is not quite easy to see all these little blessings we are given each day, but i'll advice us to count our blessings each day as little as they are because little things they say matter a lot. Thanks so much for this piece, ma'am. may God continually bless you for leading His children along the right path and for teaching them how to survive these perilous times. Glory to God! It's always a pleasure to hear from you, Chioma! You are lifted in Jesus' name. THROUGH WISDOM, WE CAN OVERCOME ALL KINDS OF TEMPTATION. FOR THIS, MAY GOD BLESS YOU FOR YOUR WORDS OF WISDOM.THE SCRIPTURE SAYS THAT MY PEOPLE PERISH BECAUSE OF LACK OF KNOWLEDGE.MAY GOD HELP OUR YOUTHS TO KNOW WHAT IT TAKES TO ATTRACT GOD'S FAVOUR. REMAIN BLESSED! Point eight inspired me a lot. Every human being has something to give, be you rich or poor. A cheerful smile can bring back a dying person to life. Thank you very much Ma, this post has made my day... What an eye opener??? This is a wonderful piece. These 8 keys are good guidelines to everyone. I'd definitely imbibe them. This is great insight and a timely message. Lack of faith in God, idleness, greed, waste, lack of skill etc. are the causes of so much unnecessary economic hardship. May God help us to be resourceful, faithful and skillful to overcome and enjoy His sufficient grace. Thank you, Ma, for this blog. Trust - the very foundation of our walk with God. It is the surest means to getting God's favour and blessings. I pray God will help us to abide by the above principles and even more that He may reveal to us. God bless you ma. I've always borne in mind that God will bless the works of our hands - not our idle minds. My take home today is, "pay your bills as soon as you can". I think it is one policy that should really work for me. Thank you very much for this. With this piece,I have gained a lot. God bless you for sharing this. This is educating, Ma'am. I will try out these recommendations. Most times when I face hardship, its difficult to still be steadfast to God. First of all, God won't let me beg, or run away from my wonderful naija. Thanks, aunty Edith, for this life hack. Thank you ma for these 8 steps. They are real guidelines that would help us if we adhere to them. Wonderful piece here. God bless you, Ma. This is a very good piece for Christians. Get busy and God for sure won't let u lack. This piece just directed me to a passage in the bible.. Proverbs 3:5-6 5 Trust in the Lord with all thine heart; and lean not unto thine own understanding. 6 In all thy ways acknowledge him, and he shall direct thy paths. Trusting in him and his word is all we need... Thanks Ma'am..
"5. Match your expenditure to your earnings." I really like the way you took your time to explain this point because it's very crucial. Many want to eat more than they can swallow while others want to have their cake and eat it at the same time. God help us. Thank you Aunty Edith. A lot of truth in this post. God continually bless you. Hard times will pass before you know it. They are tests Christians should pray to ace. We should always trust in God. If it's possible, avoid borrowing especially during hard times. Borrow only if you have the money to pay back, but at the moment you can't get access to it. During hard times when you are just managing the little you have, borrowing could drag you deeper into hard times, making you take longer to get out. What a wonderful guideline... I hope we all follow this.. Nice ma.. 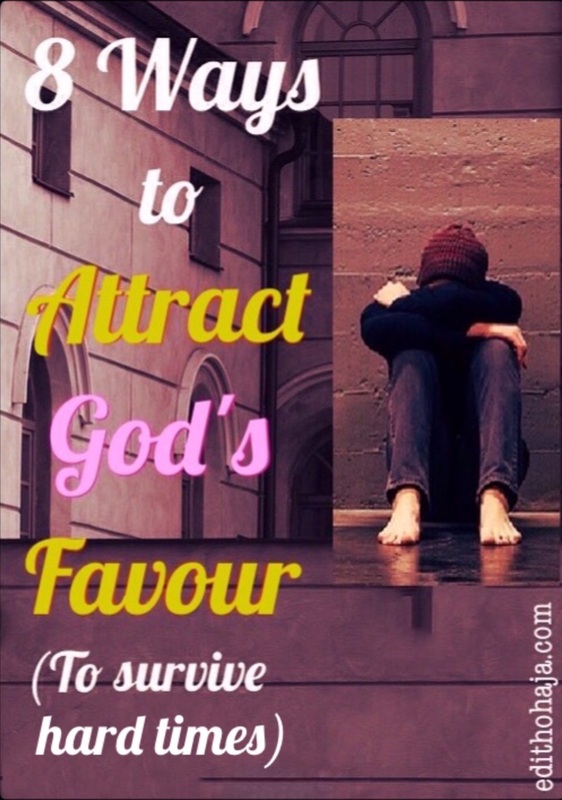 When I read the topic of this post, Eight ways to attract God favour, I was curious to know them, but immediately I read I discovered that many which I thought was right was wrong in the eyes of the Lord. I was ashamed of myself but thanks to our mummy, whom God has used to minister to us. Beautiful!!! Your advice could keep someone going and prevent him or her from doing wrong. This write-up is exactly what we need in this present state of our country Nigeria,it is a guideline in overcoming hardship, hope for God’s favour. Thank you ma. In overcoming hardships, I believe not everyone knows the way to go but this post has really created a solution for those who are clueless. Well done ma! As Christians we have many things to do so as to gain favour from God, like the ones listed here. I pray that as we follow these steps, we will gain a lot of favours from God. Thank you, ma. Ma you really inspired me with this post. With these guidelines, one will be able to overcome the economic situation of this country. Thank you very much. God bless you. This is a good piece of advice and simple ways to follow through. My prayer is that God in his infinite mercy will grant all of us our heart desires. Amen. Nice piece.It is simple and encouraging and can be of great help to overcoming Nigeria's hardship. It pays to be good to others,so that someone else will be glad to render a helping hand when u need them. The Bible tells us to always give thanks in anticipation of what God will do. Ma, am in love with this post. More grace. Am here again enjoying Aunty Ediths piece. thank you ma for this wonderful tips on ways to attract Gods favour. i was particularly touched by the part that talked about having a heart of gratitude. it dawned on me that i have not been grateful to God enough for the many blessings he has showered on me and from today i choose to be gratiful to the most high God as well as many other persons who does one favour or the other for me. When one spends time envying on other peoples progress, the person is actually wasting his time and wallowing in poverty and hardship..the person will never move forward...appreciate other people so that God will appreciate you. Number 1&4 got me. Trust and gratitude are definitely essential to obtain from God. This is timely. Am blessed by this post. You've given me tips on how to manage this harsh econominc situation in our country. God bless you, ma. You've saved a life.